El Pollo Loco Inc., a restaurant chain located in the United States, is especially known for its Mexican-style grilled chicken. Its services include dine-in, take-out, home delivery, and catering. Some locations also offer drive-through services. It was in 1975 when businessman Juan Francisco Ochoa founded the restaurant in Mexico. 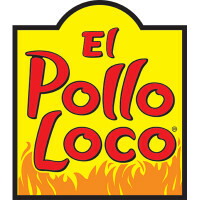 In 1979, the business expanded in northern Mexico and in 1980, Ochoa launched El Pollo Loco in Los Angeles, California. El Pollo Loco is headquartered in Costa Mesa, California and operates in different U.S. states such as Arizona, Texas, Utah, and Nevada. It has over 400 franchised and company-owned restaurants as of 2016. The popularity of this restaurant chain may be attributed to its authentic fire-grilled chicken, marinated with the use of special ingredients. What makes customers choose El Pollo Loco is the wide variety of food offerings. Aside from the popular fire-grilled chicken, its catering menu also includes burritos, salads, and taquitos. A lot of party hosts prefer to hire the catering services of El Pollo Loco due to the convenience it brings not just to the party hosts themselves but for their guests as well. Since it has a track record for serving delectable food and providing excellent catering services, party hosts prefer hiring El Pollo Loco. El PolloLoco has a user-friendly website for people who are interested in ordering food and hiring its catering services. However, before you can proceed with your orders, you first have to create an account in their website. Once you have registered an account, you may log in, go to the Catering section, indicate which state you are in, and start choosing the dishes that you want to serve during your event. Please take note, however, that there is a minimum order and a delivery fee to avail of the El Pollo Loco catering services. El Pollo Loco requests catering customers to place orders twelve hours in advance. However, for orders amounting to US$500 and above, orders must be placed one day in advance. The El Pollo Loco catering menu includes Burrito Platter, Mexican Salad, Chicken Taquitos, and Chips & Salsa, among others. Aside from a la carte, El Pollo Loco also offers dishes for sharing. El Pollo Loco is not only for chicken lovers. Because of its wide array of food choices, El Pollo Loco is loved by everyone, even vegetarians. To make it easier for customers, the El Pollo Loco catering services have come up with group packages. They have meal packages that are good for 10-12 people and they have packages for 20-24 people. Their group packages range between US$30-US$200. It also has a list of a la carte and side dishes in the menu should the customers want additional orders that are not included in the group meal packages. The El Pollo Loco catering servicesprovide plates, utensils, mints, and even hand wipes, offering an excellent customer experience for party hosts and guests. Party hosts will not be disappointed as El Pollo Loco catering services deliver on time and ensure the completeness of all orders.